Wind turbines can interfere with radio systems by blocking and reflecting radio signals. France has 96 VHF omnirange radio (VOR) beacons which aircraft pilots use for navigation. Interference concerns to a range of 15 kilometres mean that hundreds of wind turbines cannot be permitted. Upgrading or decommissioning the VOR can clear the way to a successful wind project. Pilots have many ways of navigating including visually, using GPS and using ground-based radio navigation aids such as VOR. Some of this equipment is being phased out as alternative GPS based navigation systems become available. Potential wind turbine interference mechanisms include blocking and reflection. Blocking can result in a weakening of radio signals beyond the wind turbine and reflection can result in signals being modified or being received in an unexpected direction. Reflections from a wind farm can be complex due to the fact that the wind turbines are rotating in an unsynchronized fashion with many degrees of movement. 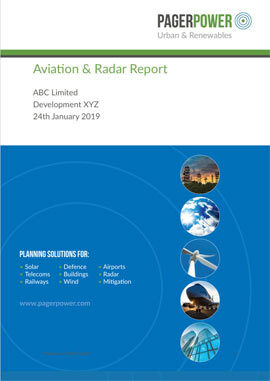 Guidance on developing wind turbines in range of VOR beacons is provided by the European and North Atlantic Office (Paris) of the International Civil Aviation Organisation (ICAO). The specific document is EUR DOC 015 which provides guidance for general development and wind turbines in the vicinity of VOR beacons. This guidance is in the form of Building Restricted Areas (BRA). The guidance states that general development within 3km of VOR beacons may require assessment along with wind turbines within 15km. France is understood to have 96 VOR of which 66 are conventional (CVOR) and 30 are Doppler (DVOR). Some have a particularly long range, with the St Tropez VOR having a range of 200 nautical miles to the south. VOR in France are safeguarded by Dirección General de Aeronáutica Civil (DGAC). 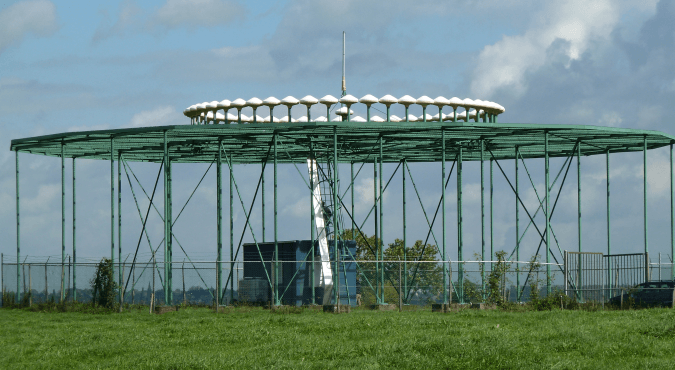 Calculations usually take peak rather than average wind turbine Radar Cross Section (RCS ). Peak values are invariably much higher than average values. Wind farm developers should assess the potential impact of their wind developments on any VOR within 15 kilometres of their wind developments during early stages of project development. Have you ever had any problems with VOR and wind farms? Let us know.